What does Vivienne mean, details, origin, short & easy attributes? Feminine form of Vivian or Vivien. From the Latin vivianus, which is derived from vivus, meaning alive. Vivienne pronunciation in 20 different native languages. Vivienne is baby girl name mainly popular in Christian religion and its main origin is . Vivienne name meanings is Alive, Lively. Other similar sounding names can be Viv, Vivi, Vivian, Viviana, Vivianna. You probably have google this question: My baby name is Vivienne and how can I combine the name Vivienne with other names and create unique & new name? We tried to suggest Vivienne name combinations. You can see how it looks the name Vivienne as first name or Vivienne as last name. You can combine the middle name for Vivienne and create a unique name. Popular personalities with Vivienne Name. 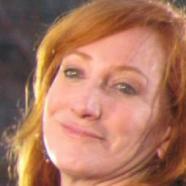 Patti Scialfa is a musician. 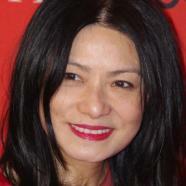 She was most prominent from 1970 to present. Patti was given the name Vivienne Patricia Scialfa on July 29th, 1953. Dame Vivienne Westwood is a fashion designer/businesswoman and fashion design. Dame was given the name Vivienne Isabel Swire on April 8th, 1941 in Tintwistle, Cheshire , England. 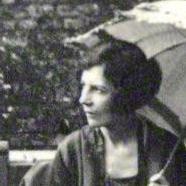 Vivienne Haigh-Wood Eliot was a governess and writer. Vivienne was born on May 28th, 1888 in Bury, Lancashire, England. She breathed her last breath on January 22nd, 1947. Tanya Stephens is a dancehall and reggae deejay (jamaican) and singing. Her ongoing career started in 1994. Tanya was given the name Vivienne Tanya Stephenson on July 2nd, 1973. 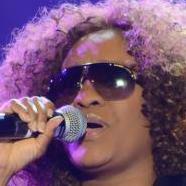 Tanya is also known as Tanya Stephens. Vivienne Tam is a fashion designer and fashion design. Vivienne was given the name Tam Yin Yok / YYY on November 28th, 1957 in Guangzhou, Guangdong, China. Vivienne was born in 1959. Vivienne was born in 1889. Vivienne is also known as Florence Vivienne Mellish. She passed away in 1982. Other Personalities with Vivienne Name.